Gone were days. Addition makes week. When the weeks are added it becomes month. And finally upon adding the gone months it is a year. Goodbye 2013. The memories were bitter, good and hilarious. The bitter memories alarm me to rise again. The good memories make me to smile and ponder the reflected thoughts back to times of 2013. Hilarious times rule me everywhere and yet it is aroma of being humorist in all moods. Nothing special I wish for me and sentient beings. Just I want to wish happiness and peace to all. I wish Happy New Year to all!!! 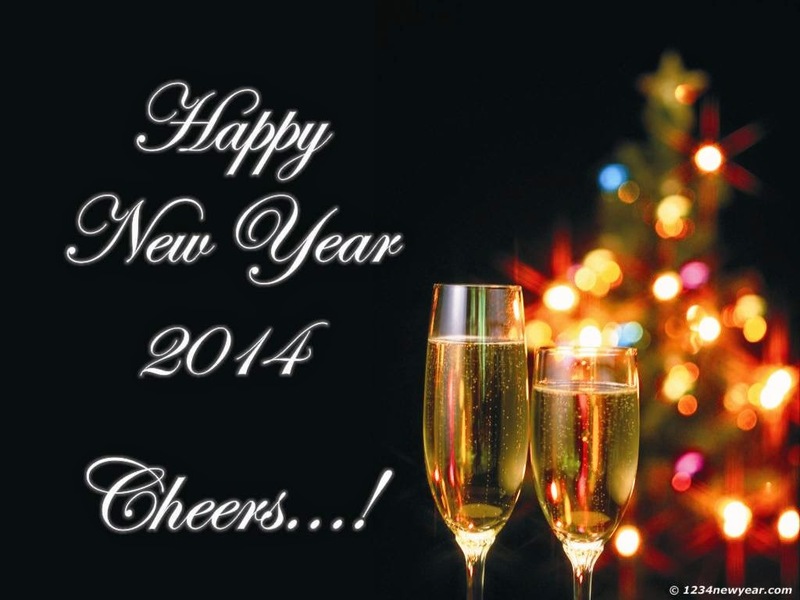 Happy New Year, 2014. Hope the January welcomes you sound. December shall close with much good memories. The months between shall dwell for the paramount happiness. I say candidly Goodbye to 2013. The memories were bitter for few sections of the society. They had to bear the misery of elemental fury. Their homes were razed to the ground in the bombing blizzard, cyclone, hailstorm, hurricane, fire, and list goes on. People were homeless. They struggled. They lost their dear one. They lose fate in life. Yet they were reassured and gave helping hand. People fought for their right. If the judgment is worth hearing it is worth fighting for. People lost respect for the law. They want the leader to resign. They disturbed the peace and harmony in the society. The world is suffering from the political humbug. Yet world revolves round seeking for the change. I artlessly welcome 2014. Finally we are back to the base. Let the world be calm. Let the people be humble. Let the politicians at least discern the difference between the reality and their promises. Let not the nature’s force destroy the innocent lives. Let power of almighty rule and let the people build faith among. Finally let the base be built to raise the bud to bloom the flowering the acme. The way you revisit 2013 and hope for good things in 2014 is interesting man. Happy new year boss! Happy New Year. May the God bless you for the rest of 2014. Thank you all for the wish! Hoping you have a very Happy New Year!